To most people who don’t know the rules, seven card stud poker can seem like a very confusing game. While it is true that it is a more complex game than other popular poker styles, once you understand the basics, it’s quite an easy game to play. 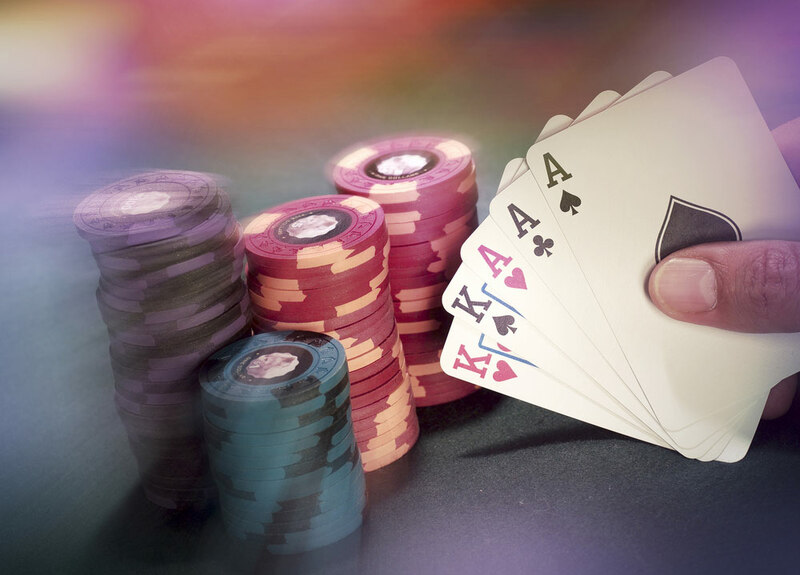 A hand starts when every player pays their ante, a small buy-in that goes into the pot to be collected by the winner. This is one of the seven car stud poker rules that is the same as most other poker games. Third Street is the first round of a hand in seven card stud poker, and each player gets two cards dealt to them face-down and one “exposed”, or face-up card. Betting starts with a “bring-in” where the player who holds the exposed card has the lowest value must pay the low bet and betting continues in a clockwise manner. If there is a tie between two players, there are many in-house rules to break the tie which can vary from table to table. Also, if the player who has to bring-in is all-in due to the ante, the next player to go has to pay the bring-in to start betting, no matter the value of their card. Once the dealer burns a card, Fourth Street starts and each player is dealt another exposed card. This time, the betting starts with whoever has the highest poker hand showing, but unlike the bring-in on Third Street, this player can check instead of betting, and may still bet the low amount. Once betting is finished the dealer burns another card. Fifth Street, is basically the same as Fourth Street, as each player gets another exposed card and betting begins the same way. However, from Fifth Street on all bets made are at least equal to the high bet amount. After another burn card, Sixth Street is played, which is an identical round to Fifth Street. One last card is burned before Seventh Street, or the River is played. This round differs from the others in that the card dealt to each remaining player is face-down, then there is a final betting round. Finally, we reach the most exciting part of any poker hand, the Showdown! The player who bet last reveals their cards first if no betting has occurred, the player who would have bet first reveals first. Whichever player has the highest five-card poker hand wins the pot and a new hand can begin. If the deck runs out of cards before the round is over, the burned cards are used to fill in for the missing cards. Folded cards are never used for in these cases, however. Third Street is where most of your seven card stud strategy will come into play. If you’re looking to play a flush, you need to count the number of cards of the same suit as your possible flush that are exposed. If you see two or more of the same suit, your flush probably isn’t going to happen, so look for other options. This changes slightly on a table with fewer players, if you want, you can bet and check if you see two like-suited cards, but if you see another on Fourth Street, fold. If you’re looking to make a straight, look for the cards you need in two spots above and below what you have. If you see any of those cards on the table, look to another option or fold. Next, look to make two pairs, check the table again and if you see cards of the same number that you need to make a pair, fold. Also look for higher cards that others might have pairs of, and watch for who raises first as this is a good indication that a player has a good pair or better. If you suspect a player has a higher pair than you, folding is your best option. Keep track of who is raising and betting, and don’t be afraid to do it yourself. If you find yourself raising and re-raising come Fifth Street with an aggressive bettor, it is best to fold unless you have a very good hand. If you see a player who will raise and re-raise with a bad hand, use that to your advantage when you have a good hand and bet aggressively to make weaker players fold-out.